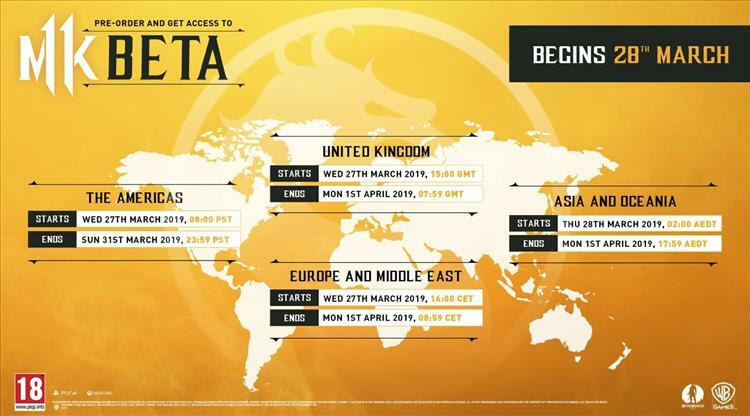 Mortal Kombat 11 is a little over a month away, but NetherRealm Studios and WB will be holding a beta for the game which starts next week. No word yet on what characters, stages or game modes will be available in the official beta but Ed Boon did confirm on his Twitter that the beta would contain more characters than the stress test which was live this past weekend. The stress test allowed fans to play as Baraka, Scorpion and Skarlet. Online casual matches were available as well as the ability to create custom variations with a small sample of the gear that will be available in the final game. Anyone who pre-orders the game will have access to the beta.